The Gallaghers. Unlikely to headline Glasto, despite what the Daily Mail says. 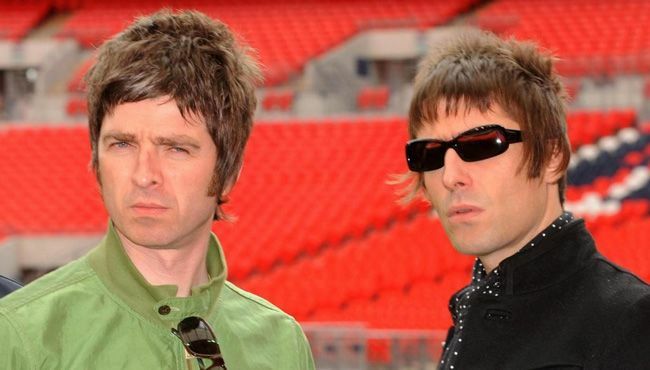 In a week were Oasis fans made ill-informed, irrational assumptions, Getintothis’ Shaun Ponsonby points out the flaws in the Glastonbury rumours. Previous ArticleUnknown Pleasures #33 ft. Les Big Byrd, Lunacre, Saib. Cosmic Slop #9: People complaining about Kanye at Glasto are morons Cosmic Slop #54: Can Glastonbury ever get it right? Cosmic Slop #20: Gary Barlow as economic doppelganger Cosmic Slop #14: Can we please stop with this Illuminati crap? Cosmic Slop #68: Who would want to see 60% of the Spice Girls? Cosmic Slop #26: When did NME become a glorified Noel Gallagher fanzine? Cosmic Slop #89: Presenting the official Cosmic Slop Christmas album Cosmic Slop #62: Was Robbie Williams the last great British pop star?